Christianity Explored is an eight session course in Mark’s Gospel. It looks at who Jesus was, why He came and what that means for us today. Many offenders have literacy problems so Christianity Explored and Daylight worked together to develop a Prison Edition of the course which was launched in October 2012. Stephen James (left) led the team responsible for developing the prison edition. 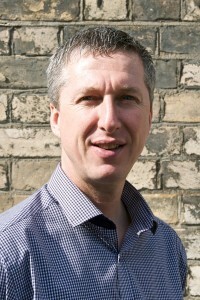 Stephen is the Director of Prison Ministry at Christianity Explored and having spent four years inside himself he is very acutely aware of the problems faced when trying to run a course which engages prisoners with the Christian faith. Since then, Christianity Explored ministries have also produced a Prison Edition of their follow up course Discipleship Explored which studies the book of Philippians. Daylight runs both courses in a growing number of prisons across the UK. 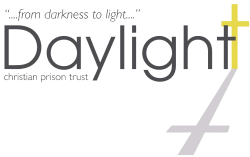 Please continue to pray for Daylight and Christianity Explored as we work together to reach more prisoners with the good news of Jesus Christ.